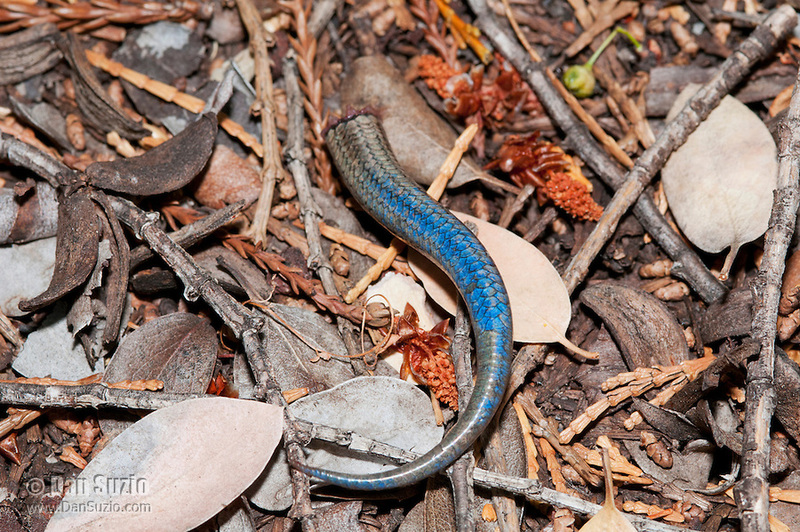 Detached tail of Skilton's skink (Western skink), Eumeces skiltonianus skiltonianus. When the skink is attacked by a predator, its tail breaks off easily and wriggles for up to several minutes, distracting the predator and allowing the lizard to escape. The tail will grow back, but the regenerated tail will usually be shorter than the original. Mendocino County, California.